That almost all literate people in India may have read Chandamama at one time or the other is no exaggeration. The children's storybook with colour illustrations was as popular with the kids as it is with adults. When India was just a breath away from Independence, film-makers B Nagi Reddy and Chakrapani decided to preserve the rich story elements in Indian folklore for generations to come. No, not by making films but by way of a handy monthly publication. Chandamama, the children's magazine, thus acquired form in July 1947. Initially, Chandamama appeared in two Indian languages, Tamil and Telugu. As years passed, both Reddy and Chakrapani realised the magazine, if it were printed in other regional languages, would appeal to all Indian children. Editions in Kannada, Hindi, Malayalam, English, Bengali, Oriya, Assamese, Gurumukhi, Sindhi followed. By 1978, Chandamama was being published in 13 languages, including a Sinhalese edition. Chandamama began with a circulation of 6,000 copies in 1947 and over the years, it swelled to 40,000. As the literacy rate increased, so did Chandamama's circulation figures. In 1998, when Viswanatha Reddy, who had by then taken over charge of the magazine from his father, decided to stop the publication of Chandamama, it was selling half a million copies a month. Each copy of Chandamama, a survey revealed, was read by 17 people! It was not the English, Hindi or Tamil editions that sold the most, but the Oriya edition (100,000 copies a month). Chandamama thus went on to enliven the lives of kids and adults alike for 52 years, until Viswanatha Reddy decided to stop publication in October last year due to labour problems at his printing unit. Reddy insists he never actually stopped the magazine, he only suspended publication. To Reddy, who had been associated with Chandamama for nearly 30 years, it was a very painful moment. "The pain was more because Chandamama was passed on from the founding fathers, my father and the late Chakrapani to me. It was a painful decision. But we were very confident then that we would be able to start in 2, 3 months time." What surprised Reddy was the attitude of the agents and the subscribers. Most subscribers did not opt for a refund. Instead, they chose to wait for the magazine to hit the stands again. And Reddy continues to get renewal orders even now! All the while, he continued with his efforts to revive the magazine. Senior editors from other publications advised him to "do something to suit the modern young child without diluting the basic principles of the magazine." Sethi is responsible for Morgan Stanley picking up a stake in the new company, Chandamama India Limited, floated to relaunch the magazine. Till 1998, Chandamama belonged to the Reddy family alone. In its new avatar, the family will have only 40 per cent equity in the magazine. Besides Morgan Stanley, there are a few other investors who hold 60 per cent of the company's stake. Viswanatha Reddy will continue to be the editor, publisher and managing director of CIL. "All these people, Vinod Sethi, Sudhir Rao, Uttam and Madhu who have come together to support the publication's existence were once readers of Chandamama and all of them loved Chandamama. So, I feel we should utilise their interest in the magazine to reach out to the maximum number of readers now," says Reddy. Madhusudan quips the biggest benefit he had after joining Chandamama was, "I could read 52 years of Chandamama. Mere mention of Chandamama revives sweet memories of my childhood. I guess others too feel the same way." On Children's Day, November 14, Chandamama will hit the stands again. And in 12 Indian languages. Will there be any changes in its format? "Everything will be the same because we don't want to lose our identity. But there will be improvement in the quality of presentation, printing, illustrations, etc. But we will definitely not change the character of the magazine," says Reddy. He also wants to change the way the magazine will be marketed. "We are going to do it in a very professional way. In the last ten years, we were not properly marketing the magazine. Now I want our marketing team to take it up as a challenge, so that Chandamama can reach every nook and corner of the country. After we enter every household in India, we plan to enter the schools. That will be our next step. We want to be a friend to the teacher and we would like the teachers to use our medium to reach closer to the children." "With globalisation," he continues, "we have to think big. Unless you think big, you are nowhere. Chandamama has tremendous goodwill. If Chandamamacannot think big, I don't think any other magazine can think that way." 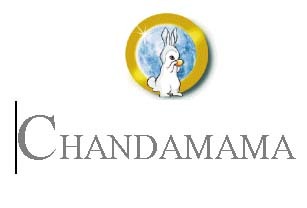 "What we want to exploit is the fantastic bank of stories which Chandamama has. CIL will be involved in the creation of further content and management of the content, which has already been developed. So, further exploitation of the content in various other vehicles will be the core business of Chandamama. To start with, we will relaunch the magazine, the mother brand," says Madhusudan. Reddy makes it clear that his inspiration is Walt Disney. "There is nothing wrong in idolising an organisation or an individual. Disney has done so much good for the children of the world. Identification of Chandamama with Disney was always there as both of us had a positive outlook and that is why we tried to bring Disney books to India. "I am so greedy that I am not going to leave any medium to communicate to children. We want to be closer to today's children and for that we have to make use of all the modern communication facilities like the Internet, electronic publishing, television, etc, that these children are familiar with. Remember, only a cheerful child can make a cheerful country," he says.